JOY Kids Are Ready for Families! Encouraged by the success of families’ advocacy through our Orphan Hosting program, GWCA launched the JOY program in early 2016. Now, one year later, we’ve completed our second JOY program and we’re eager to begin matching each of the JOY kiddos with loving families. Much like a traditional Orphan Hosting program, the JOY program gives advocates the chance to spend time getting to know orphans in need with the hope that they will be able to help them find their forever family. The difference, however, is that the JOY program takes place in China, rather than in the United States. 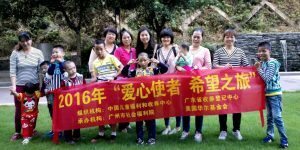 During their stay in China, the families participate in different activities with the children in the city where their orphanage is located. Through this, they gain a better understanding of both the children’s needs and personalities so that they can advocate to find them a family that’s ready to welcome them in. If you’re interested in learning how you can be matched with one of the kids from our most recent JOY program, visit GWCA’s Waiting Child photo listing or contact our matching specialists today! Chelsea is an adorable little girl who is 3 years old! She was recently a part of GWCA’s JOY Program in China. An advocate spent some time with Chelsea and learned all about her! Chelsea lives in a foster family and has done very well with them! Before moving out of the institution, she preferred to play alone and was quite shy but since moving into the foster family she has flourished! She is very active and personable and loves to play with other children. Our advocate noted that she is extremely cute and always smiling! She can imitate adult’s language and is always babbling. Contact one of our matching specialists if you’d like to review her file! Click Here to Watch Chelsea’s Video! Clark is a happy kiddo who is 7 years old! 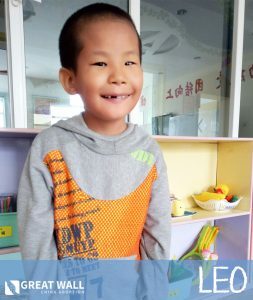 He was recently apart of GWCA’s JOY Program in China. An advocate spent some time with Clark and learned all about him! Clark is fairly delayed on his language development but we believe that with the proper care and attention he would be able to catch up! He is described as being shy but his teachers and classmates love him. He likes to share his toys and things and is said to be modest! Clark does not have any physical limitations and is able to be active! He is receiving education in the orphanage and is being taught basic life skills. Contact GWCA if you’d like to review Clark’s file! *NEW VIDEO* Clay is a playful kiddo who is 10 years old! He was recently a part of GWCA’s JOY Program in China. An advocate spent some time with Clay and learned all about him! He was born with spina bifida which he received surgery for as a young child. He lives with a foster family and is doing very well! Clay is in the third grade and his caretakers say he has a strong desire to learn new things! 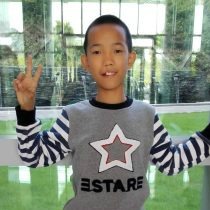 He does well in school and can even sing some simple songs in English! He is described as being active, positive and expressive. Clay doesn’t have any language or cognitive delays compared to his peers and he does a great job at managing his daily life. He can make his bed, clean up after himself and follow instructions well! Clay loves playing basketball and football with his friends. Contact GWCA if you’d like to review Clay’s file! Alice is an adorable little gal who just turned 4 years old! She was recently a part of GWCA’s JOY Program in China. An advocate spent some time with Alice and learned all about her! 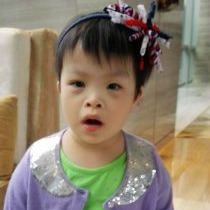 She was born with Down’s Syndrome and seems to be doing well compared to her friends with the same need. She has been in early education classes and she has made great progress! She can get along well with other kiddos her age and loves to share her toys. She is described as being active and cute by her caretakers. Alice can complete simple tasks like washing her hands, walking up and down the stairs by herself and putting away her toys. GWCA is currently trying to gather more information on Alice. Contact one of our matching specialists if you’d like to review her file! Cedric is an adorable kiddo who is 9 years old! 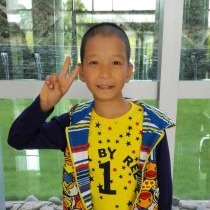 He was recently a part of GWCA’s JOY Program in China. An advocate spent some time with Cedric and learned all about him! He was born with an arachnoid cyst and hydrocephalus. The advocate that spent time with Cedric let us know that he is smart, extroverted, and he gets along very well with others! His communication abilities are strong and he can describe his needs very well to his caretakers. Cedric is living in a foster family and has done extremely well there! He loves to sing and has quite the knack for painting! If you are interested in reviewing Cedric’s medical file, contact a GWCA matching specialist! Click Here to Watch Cedric’s Video! Timmy is a sweet little boy from China that just recently turned 7 years old. 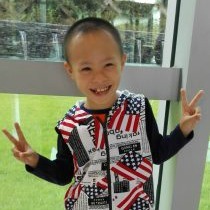 He was recently a part of GWCA’s JOY Program in China. An advocate spent some time with Timmy and learned all about him! Timmy wasn’t brought into care until he was 4 years old, so we can assume he was raised by his family until that time. 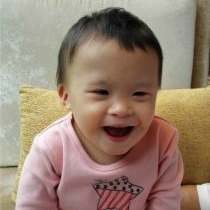 Timmy has been in a foster family since early 2014, so he is receiving more one-on-one attention than a child living in an orphanage. Timmy was shy at first but he became more sociable after he got used to life with his foster family. He can communicate with adults and children clearly. He can walk steadily, dance with rhythm, build with blocks and do puzzles. He is in a regular school and is learning with other children of his own age. Timmy gets along with others well and has a ready smile. He is an active boy who is fond of playing games. While his physical examination shows that he has some maldevelopment of his right parietal lobe cortex, it doesn’t seem to be affecting him that much. He is not described as being delayed and instead he seems to be a pretty normal 7 year old boy. 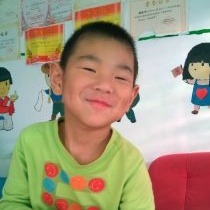 You can contact the China Home Finding Team at Great Wall if you would like to learn more about adopting Timmy. We hope we are able to find Timmy his Forever Family soon! Click Here to Watch Timmy’s Video! Spencer is a cheerful kiddo who is 11 years old! He was recently a part of GWCA’s JOY Program in China. An advocate spent some time with Spencer and learned all about him! He has congenital esotropia of both eyes. Spencer lives in a foster family and has for quite some time. His foster parents describe him as very active, positive and happy! He loves to communicate with others and is constantly sharing what he observes and feels with his classmates and friends. He is currently in the 3rd grade! His file indicates that his vision needs present some challenges for him in regards to reading and writing. Spencer enjoys extracurricular activities and playing outside. Contact one of our matching specialists today if you are interested in reviewing Spencer’s file! Owen is a healthy older boy who is 12 years old! He was recently a part of GWCA’s JOY Program in China. An advocate spent some time with Owen and learned all about him! He had a cleft lip when he was younger but it was repaired in 2005. 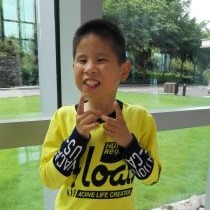 Owen has lived in a foster family environment since he was a child and has done very well. 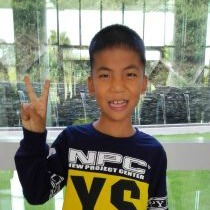 He has been receiving education since he was 4 years old and can introduce himself in English. Owen has always done well in school and in 2014 he got 2nd place in the art competition! He enjoys running and riding his bike. He gets along with everyone around him and is described as being active, bright, kind and grateful. Contact one of our matching specialists if you would like to review Owen’s file! Click Here to Watch Owen’s Video!